It's not often in life when you work with someone who cares enough to tell you the hard stuff. My dear colleague retires today and will be sorely missed. This is the card I made for him. To acheive the stripes of color, mask whisper white card stock. Stamp clear acrylic block H directly on to the ink pad and then on to the whisper white card stock. 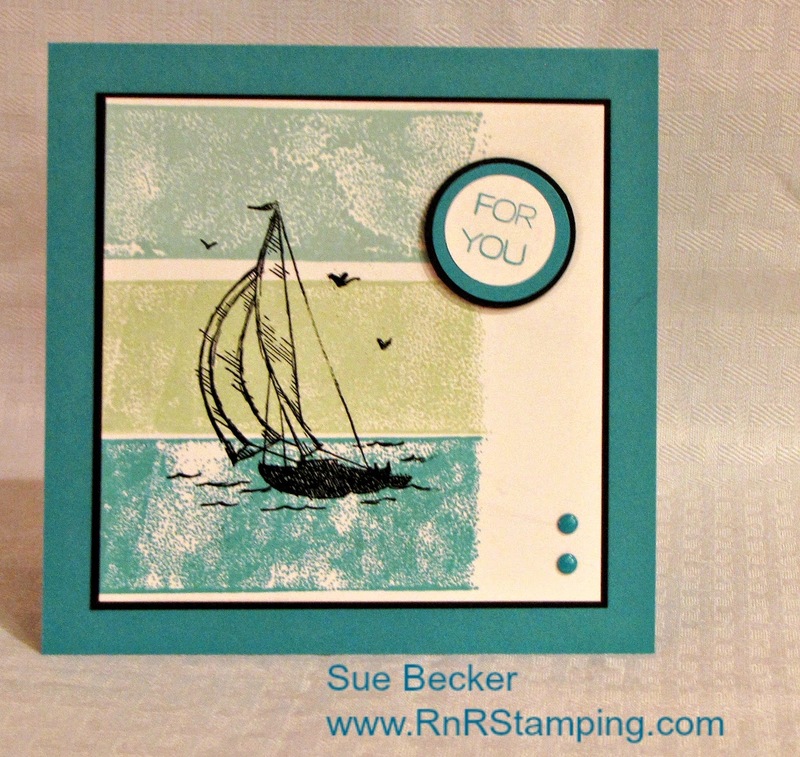 The vintage sail boat was heat embossed. The sentiment was from a Paper Pumpkin kit and I finished it off with two Bermuda Bay candy dots. TIP: I stamped the top stripe, then the bottom and lastly the middle stripe. It was easier to keep them evenly spaced.